On Christmas Eve, 1991, a baby who would grow up to become a global superstar made his arrival into the world in Doncaster. That tot was Louis Troy Austin, now better know as singing star Louis Tomlinson, one quarter of worldwide boy band sensations One Direction and arguably now the most famous person to hail from our town. Born to Johannah Poulston and Troy Austin, who split up when he was young, he later took on his stepfather Mark Tomlinson’s name. 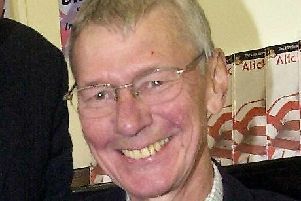 Tomlinson was a sixth form student at Hall Cross School and a former pupil of the Hayfield School. He failed his first year of A levels at Hayfield and ended up going back to Hall Cross and starting A levels again. He held a number of jobs in his teens, including working at the town’s Vue cinema and at Doncaster Rovers as a waiter in the hospitality suites. Louis at his first X-Factor audition. While at Hall Cross, he appeared in several musical productions, including the lead role of Danny Zuko in a school production of Grease. Then, in 2010, came the moment that would change his life forever. In 2010, he auditioned for the seventh series of The X Factor. He failed to progress to the “boys” category at “judges’ houses” but, after a suggestion from guest judge Nicole Scherzinger, he was put together with Niall Horan, Zayn Malik, Liam Payne and Harry Styles to form a five-piece boy band, thus qualifying for the “groups” category. Named One Direction, the boys finished in third place - but shortly afterwards signed a deal with Simon Cowell and began the path to global demolition. In just five years, Louis, 24 today, has landed five Brit Awards, four MTV Video Music Awards, eleven MTV Europe Music Awards, and nineteen Teen Choice Awards and according to the Sunday Times Rich List, by April 2013, they had an estimated personal combined wealth of £25 million, selling millions of records and sold out tours across the world. The Star campaigned for Louis and One Direction to win the show. One Direction with Simon Cowell early in their career. Another family photo of Louis in his early days. Fairground fun and a cheeky smile from Louis in his childhood. A cheeky pose from Louis.